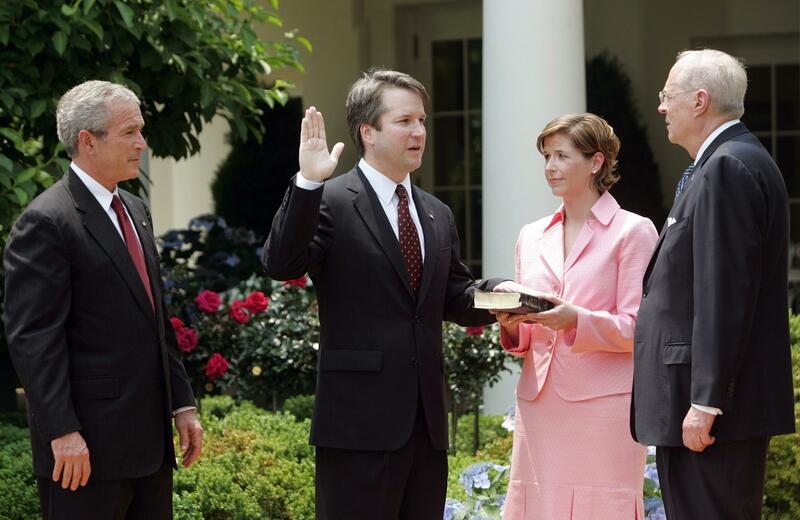 Sat., Sept. 1, 2018, 8:47 a.m.
WASHINGTON – Judge Brett Kavanaugh’s life seems as carefully constructed as the Supreme Court arguments he will hear if he is confirmed to the high court. He checks all the boxes of the ways of Washington, or at least the way Washington used to be. A more in-your-face – yet still nuanced– figure emerges in a recently released August 1998 memo to Starr urging that Clinton be asked blushingly explicit questions about his sexual interactions with intern Monica Lewinsky so as to understand a “pattern of revolting behavior” and give Congress more information to decide whether Clinton should remain president. As a lead investigator of the Republican-sparked investigation, Kavanaugh also floated expansive grounds for impeaching a president, a trigger of some concern to Republicans now should an appetite in Congress grow for Trump’s impeachment. Published: Sept. 1, 2018, 8:47 a.m.